Our Gulmarg ski guiding team is what really sets us apart from the rest. We are professionals who take the responsibilities of our job very seriously and run the guiding program in line with international guiding industry best practice. We constantly monitor the weather, snow conditions and avalanche danger, and our daily objectives are set in accordance with our findings while taking into account your fitness, skill level and desires. An adventure to Kashmir is an amazing experience but there is also the potential for serious consequences should anything go wrong. This is why we only use ski guides with the right credentials. Only the professionally trained and adequately equipped can make safe decisions, and, in the unlikely event of an accident, perform a timely rescue. Our skiing guides come from across the globe, are veterans of the mountains and are very experienced and highly qualified in avalanche mitigation, first aid, and mountain rescue techniques. Each guide carries all the communications, first aid supplies and rescue equipment necessary to deal with any situation. While safety is always the number one priority, we understand that having an all round enjoyable holiday is what you come for and our team are experts in providing great memories both on and off the mountain. 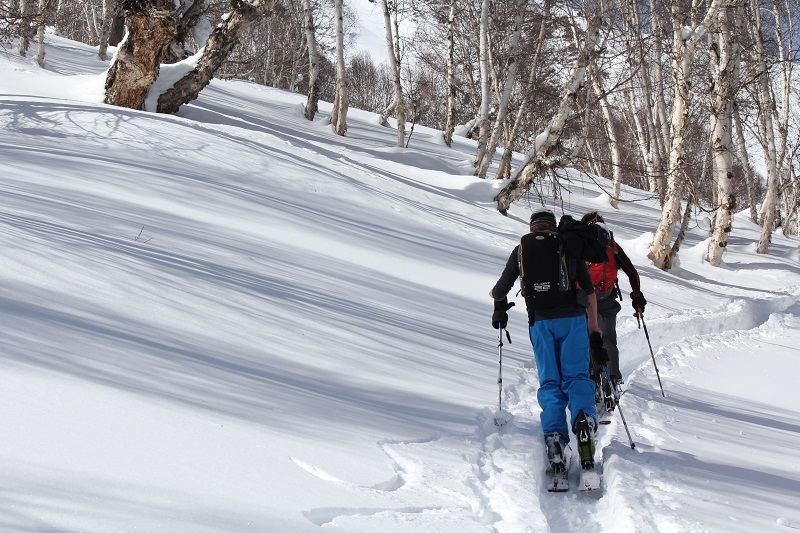 Like you, we are also powder tragics who love seeking out the best snow and having fun. When not required, we don’t take ourselves (or each other) too seriously, and love having a laugh and a beer at the après session. We enjoy nothing more than introducing others to the magic of Gulmarg; the mountain, the culture and the people. 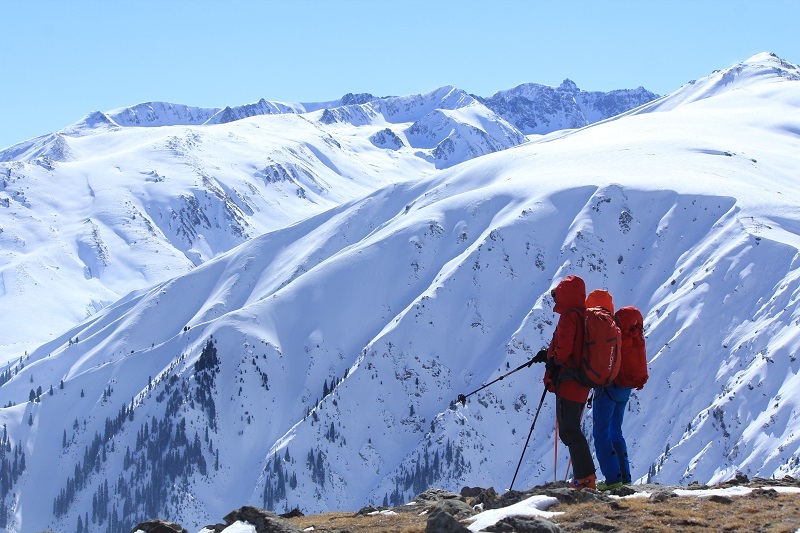 Through years of guiding, patrolling and exploring Gulmarg we have gained an intimate knowledge of the mountain and know where to find the best snow possible on any given day. Coming from a variety of backgrounds including mountaineering, instructing and patrolling, our combined skills, experience, professionalism, energy and humour, ensure a safe and super fun Gulmarg adventure. Bill was in Gulmarg when the gondola first opened in 2005 and was employed by the Jammu and Kashmir government to manage the avalanche hazard, establish resort protocols and procedures and train the local ski patrol. 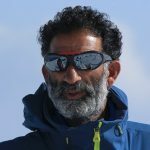 He has been patrolling for over 30 years, guiding in Gulmarg for over 10 years, and guides on ski expeditions to the Antarctic Penninsula each November. Bill is very well known in the ski fraternity. 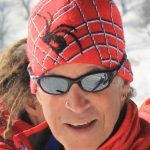 Over the years he has featured on many magazine covers, sponsor’s adds, in documentaries, and written numerous articles on new destinations, avalanche safety and backcountry skiing. When not guiding in Gulmarg or Antarctica he is the Director of ski patrol at Mt Hotham, Australia. His passion for back-country skiing and out-of-the-way places drew him to Gulmarg, which he now calls home for the northern winters. Bill has formed great friendships with the locals and is well respected in the community. You will benefit from these connections and also be welcomed as family. There is no one better to introduce you to the magic of Gulmarg. While chasing winter in the mountains is a major part of his life, any spare time between seasons is spent surfing and rock climbing either at home on the south coast of NSW or on an extended mission elsewhere. 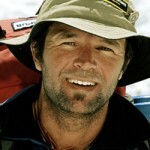 Mark is one of the best known mountain guides in the business. He is the chief guide with Harris Mountains Heli Skiing in NZ, and has led ski and climbing expeditions all over the world. He has guided on over a dozen Himalayan expeditions including summiting Mt Everest and has guided numerous climbing and skiing trips to the Antarctic. 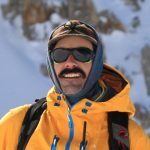 Mark is also a highly respected avalanche forecaster and teaches certified courses to students varying in experience from absolute beginners to qualified guides. In his spare time he is the Festival Director of the NZ Mountain Film Festival and is a sought after motivational speaker. Mark’s other passions include kite surfing the long left point breaks of Peru and paragliding the peaks surrounding his home town of Wanaka. Sam grew up in the small town of Merrijig at the base of Mt Buller in Australia. He skied freestyle and nordic as a kid before swapping to tele’s when plastic boots became available. He has years of ski touring experience and is a world class tele skier who has achieved podium finishes in big mountain free ski events in NZ and the US. Sam also ran a very popular high-end telemark clinic in the Craigieburn range of New Zealand. He has now mellowed (a little) and prefers to spend his time exploring new areas, hunting powder and introducing others to the lure of back-country skiing. Sam has worked as a qualified alpine instructor and patrolled for over 10 years, working at resorts in Australia, the U.S and New Zealand. Sam is one of those guys who are always there when you need a hand. If you’ve had a yard sale and your bits are strewn all over the hill, he will be there to pick up the pieces and then casually blame the snow, the visibility or the mountain for you. When not in the mountains, you will probably find Sam practicing bizarre yoga techniques or fine tuning his kite surfing skills between writing a thesis on new agriculture methods, reading something weird or having a few beers with his mates. Uncle grew up skiing the mountains of the eastern US states and spent many years thereafter travelling throughout North America exploring the mountains. His guiding career kicked off in 1980 in Sun Valley, Idaho and since then he has led people on adventures on mountain ranges across the world. A telemarker for 35 years, he started calling NZ home in the mid 80s where he set up and ran a training program for telemark instructors. 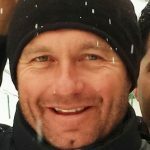 His resume includes being the Chief Guide with Harris Mountains Heliski, Instructing avalanche courses to the highest level and guiding for Kashmir Heliski. Joining the Bill Trips team in 2016 he soon became known and appreciated as Uncle Jef, the wise sage of the group. Uncle can usually be found up before sparrows, checking our snow plot and compiling weather data long before the whipper snappers have pulled the covers from their heads. Uncle once dragged a sled across 400km of the Wrangell St Elias Wilderness area in Alaska/Yukon/BC and then took on the challenge again up and down the Baltoro to the base of K2. We reckon neither tortuous journey would have dampened his boundless energy and enthusiasm one bit. He is a Woodstock survivor and was the first person in the world foolish enough to pay for a bungy jump. Mark spreads his year between the mountains of New Zealand, France and India. 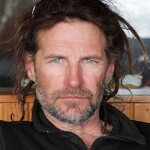 He is a fully certified NZMGA Ski Guide and Avalanche forecaster. Mark guides for Methven Heliski in NZ during the southern winters, and is based in Chamonix when he is not guiding in the Himalaya. Born in New Zealand and spending much of his youth in the mountains, Mark’s original passions were mountaineering and rock climbing. As well as a ski guiding, ‘The Professor’ lectures in Criminology at universities across the globe to support his mountain pursuits. 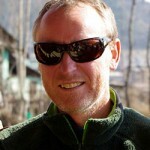 Mark first skied the Himalaya in 2000 and was also in Gulmarg for the 2005/06 season when the gondola first opened. ‘The Professor’ is a great asset to the Bill’s Trips team not only for his obvious mountain skills and knowledge but also for his ability to hold an in depth and informed conversation on just about any topic you choose. We are not sure if he really knows that much or if he just has the knack of making himself sound like he knows what he is talking about. When David isn’t guiding in Gulmarg, he is most likely guiding somewhere else on the planet. He has guided with Chugach Powder Guides in Alaska and led skiing and mountaineering trips all over the world including Mt Denali, Patagonia the Himalaya and Antarctica. David also spent the winter of 2006 in Gulmarg passing on his years of experience to the newly formed ski patrol team and formed a great connection with the locals. Growing up in Mt Shasta, California, David ski raced at college before becoming an instructor and then race coach with the US ski team. His combined guiding and solid teaching skills gives him the ability to challenge, yet inspire confidence in those he skis with. David now lives in Oregon where he is owner of ‘Crows Feet Commons’ and, when not away on guiding jobs or ski mountaineering for pleasure, he spends the rest of the year guiding cycle trips either on road or in the mountains. David is an awesome guide / guy to hang out with, especially when he is sporting his “Borat” style moustache and talking with a slight Kazakhstani accent. Wali is a Gulmarg local who knows the surrounding mountains like the back of his hand. Growing up in the area and working as a summer trekking guide from a young age has given Wali an understanding of the area that very few other people have. Wali is a registered guide with the Gulmarg Tourism Department, has solid mountain skills and is a great, easy going guy to have as part of our team. Wali works with us as an assistant guide for the winter. He fills the role of tail guide, helps co-ordinate local transport and is instrumental in contacting the relevant parties if ever a mountain rescue is needed. Wali has a wealth of knowledge about Gulmarg, Kashmir, its people and its history. His cruisy nature and classic delivery makes it a pleasure to learn about the local’s lives and hear the stories of past and present. Thanks so much for the awesome adventure. We were stoked with everything – the place, the snow, the food, the people, the gear, the learning. It was so much fun and we really hope this isn’t the last time we see you here. Cheers for everything. The houseboat and Dal Lake were just great. Great food, great experience. Loved it! Thanks Bill, Sam, Mark and Mark, Wali and Manzoor for an awesome experience. I just wanted to say hi and thanks again for an amazing trip. As I settle back into the everyday drudge I look back and realise just how amazing it really was. You guys have a brilliant outfit, from your main crew of guides through to the locals and all the staff. They all made it more than just a holiday. Thanks for the great time over in Gulmarg. It’s a very special place and has found a place in my heart! Well done with such a great organised tour that is relaxed and fun. Thanks again for an awesome time. I can’t believe we did it. I just loved my time in Kashmir with you! ……the adventure skiing, world-class guiding, Highland Park, good company, Kashmiri culture…. Thanks for looking after me so well. Felt like I was treated like a Queen. Send my thanks and good cheer to Sam, Lydia, Mark, Mark, Wali and Manzoor.